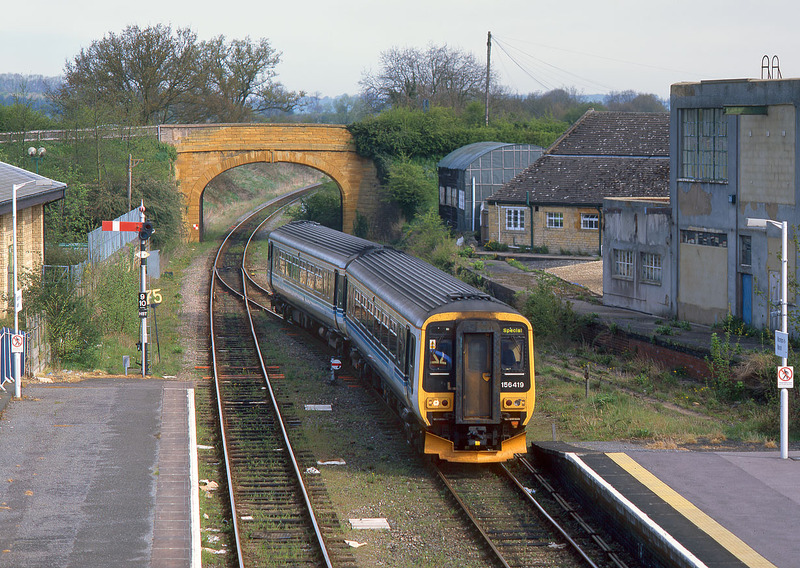 The Cotswold Line Promotion Group ran a special train from Moreton-in-Marsh to Matlock on 30 April 2000. Named the 'Cotswold - Derwent Express' this brought the rare sight of a Class 156 unit to the Cotswold Line. 156419 arrives at Moreton-in-Marsh with the 5Z30 empty stock working from Worcester. It seems that a visit by the weedkilling train is long overdue!